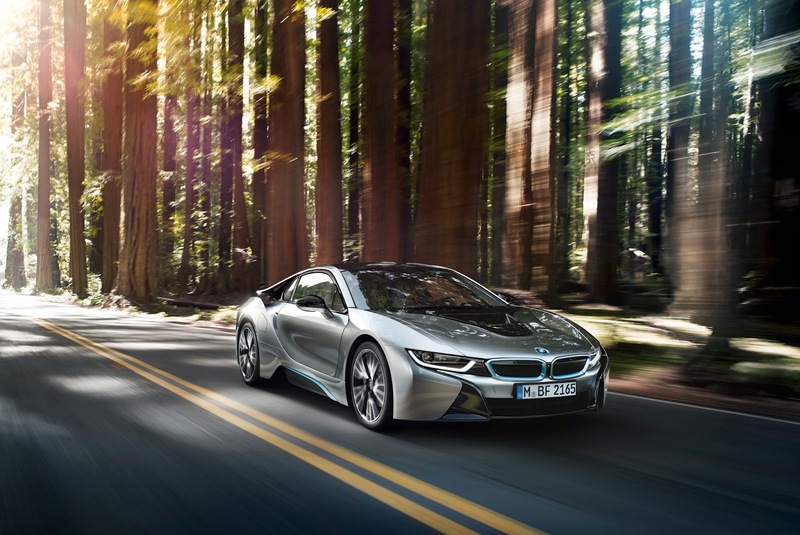 The hotly anticipated BMW i8 is revealed at the Frankfurt Auto Show along with the price for the BMW i8. 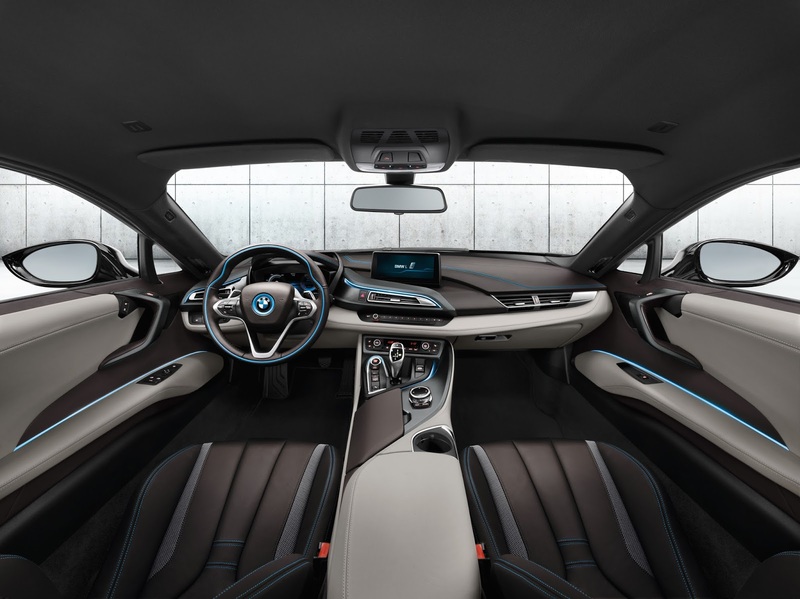 The i8 represents BMWs foray into the world of electric sports cars to compete with the Tesla electric car, known as the model S, and other future electric sports cars. 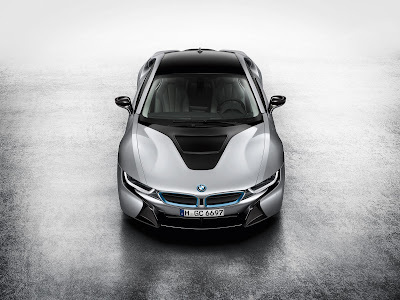 Even though it seems that Audi is no longer making the E-Tron Audi R8, BMW wants to establish itself as a green sports car maker. The BMW i8 reportedly goes as fast as a BMW M3, weighs less than a 3 series sedan, and returns 94 MPG based on EU testing numbers. 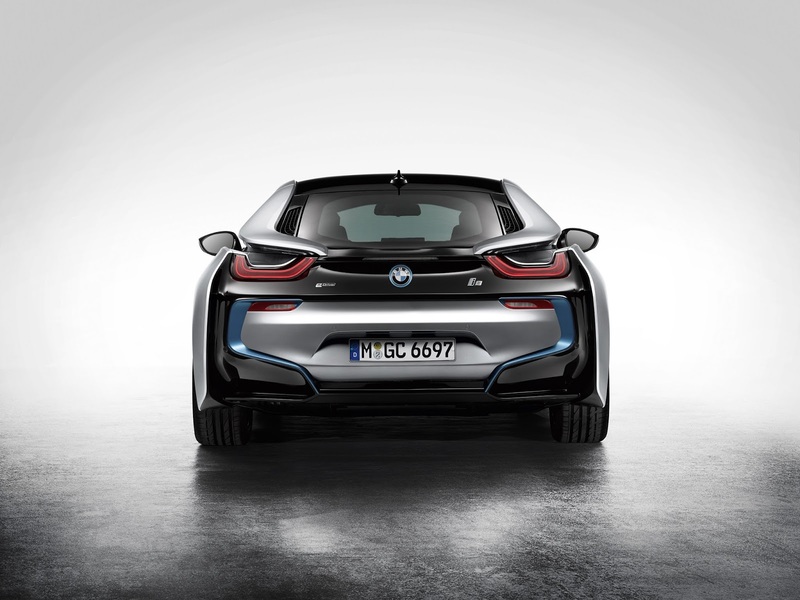 It represents a huge advance in electric sports cars and for BMW. I am beyond excited for this car. I've been saying for some time now that the electric car does not represent the death of fun cars. The promise of unlimited torque can be extremely rewarding as we have seen Tesla prove with their Model S. Just leave it to the engineers given the task of meeting the expectations and we see exactly how brilliant alternative-fuel vehicles can be. As someone who used to work with engineers, give them a rubber band, a paper clip, and some raw materials and you'll get hovercraft. True story bro. So it's no surprise that the BMW i8 is a very compelling electric sports car. 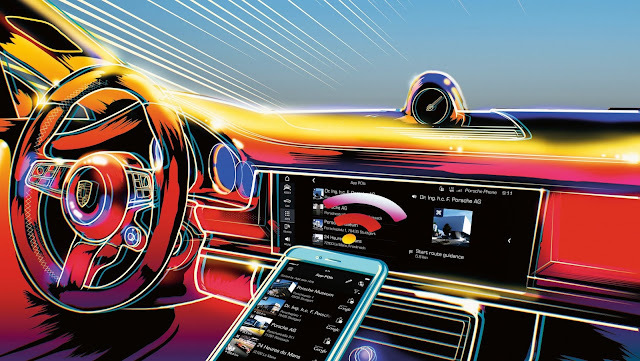 It won't be only electric like the Model S however, it will feature an electric range of 22 miles and a gas motor capable of an everyday driving range in Comfort mode of over 310 miles. 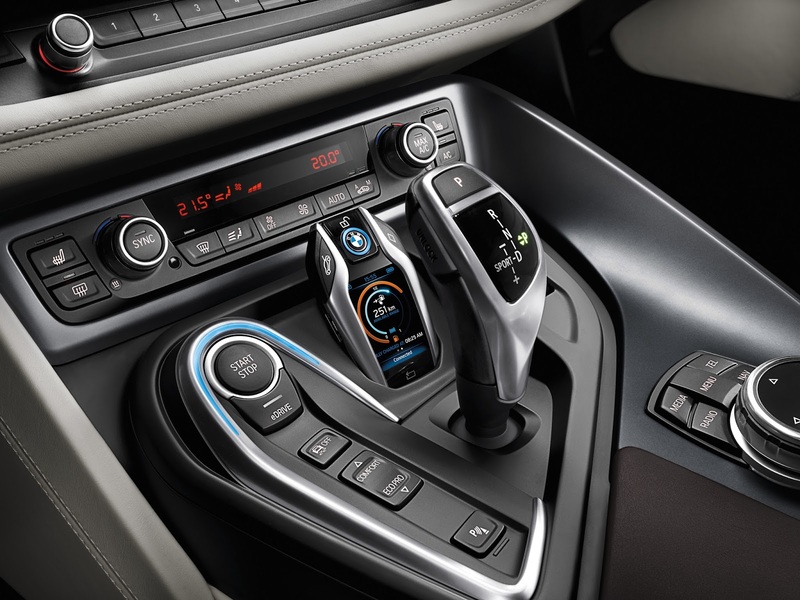 Like other BMW models that have been released since 2009, it will feature three driving modes of Sport, Comfort, and Eco Pro mode. 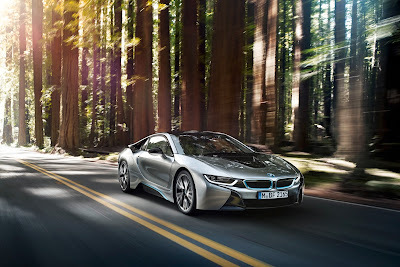 Naturally better range can be achieved in Eco Pro mode but, when the BMW i8 is capable of 0 - 60 times of 4.4 seconds, why would you only drive in Eco Pro mode outside of the city? What's truly amazing is that in addition to the electric battery, the vehicle is powered by a TwinPower Turbocharged 1.5L motor. The TwinPower Turbo is BMW speak for a single turbocharger capable of doing the work of 2 turbos. They have a battery and a 1.5L engine that propels this car as fast as the e92 M3 coupe... Absolutely amazing. You can find more information from the press release below. What do you think? Is this the electric sports car we are looking for? You can always tweet about the BMW i8 using the #BMWi8 hashtag on Twitter. 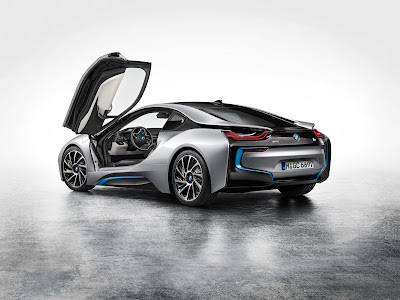 "Today at the 2013 Frankfurt Motor Show, BMW unveiled on of the most widely anticipated cars in its history – the BMW i8. On most levels, this plug-in hybrid 2+2 sports car is unlike any car ever introduced. 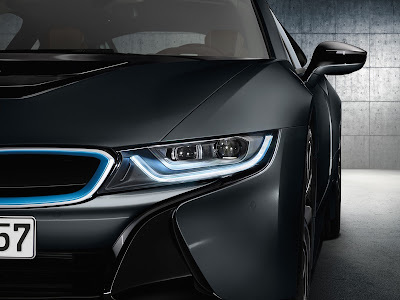 It is was alspo announced that the BMW i8 will have a manufacturer’s suggest retail price of $135,925 (including destination and handling) when it arrives in US showrooms in spring of 2014. • Emotion-led visual impression based around established BMW i design language; classical sports car proportions and fresh interpretation of BMW design features; doors open upwards like wings; clean lines, plus surface design (external and internal) based on the layering principle; full-LED headlights as standard, innovative laser headlights – unique worldwide – available as an option where regulations allow. • Plug-in hybrid system developed and produced by the BMW Group represents the latest development stage of Efficient Dynamics; debut for three-cylinder gasoline engine with BMW TwinPower Turbo technology, displacement: 1.5 liters, output: 170 kW/231 hp, maximum torque: 320 Nm (236 lb-ft); power sent to the rear wheels via a six-speed automatic gearbox; model-specific hybrid synchronous electric motor, output: 96 kW/131 hp, maximum torque: 250 Nm (184 lb-ft); power channeled through the front wheels via a two-stage automatic transmission; lithium-ion high-voltage battery with liquid cooling and usable capacity of 5 kWh. • First combination of BMW TwinPower Turbo and BMW eDrive technology plus intelligent energy management produce system output of 266 kW/362 hp (max. torque: 570 Nm / 420 lb-ft) and give the BMW i8 the performance characteristics of a pure-bred sports car (0 – 100 km/h / 62 mph in 4.4 seconds) combined with fuel economy and emissions comparable to a small car - EU fuel consumption: 2.5 litres per 100 km / 94 mpg (US); “glued-to-the-road” AWD driving experience with torque distribution geared towards optimized dynamics. • Driving Experience Control switch and eDrive button allow driver to choose from five driving modes; range of up to 35 kilometers (22 miles) on electric power alone and a top speed of 120 km/h (75 mph); COMFORT mode offers optimum balance between dynamics and efficiency; combined range in everyday conditions: over 500 kilometers (310 miles); SPORT mode with ultra-intense boost function provided by the electric motor; ECO PRO mode can be used in both all-electric mode and hybrid mode. 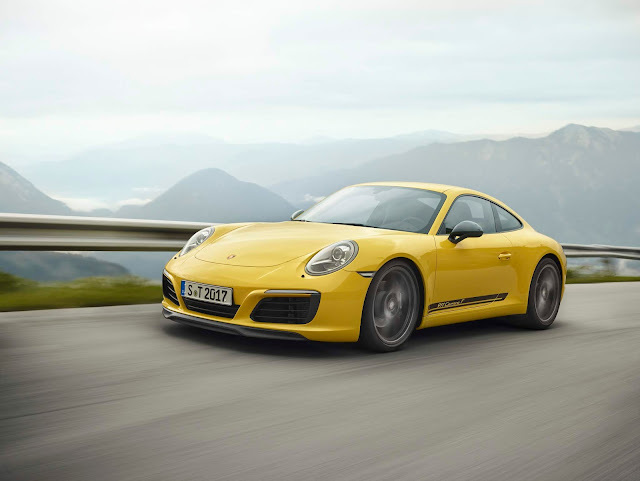 • Sophisticated chassis technology featuring a double-wishbone front axle and a five-link rear axle; Electric Power Steering; Dynamic Damper Control comes as standard; 20-inch light-alloy wheels are standard. • Intelligent lightweight construction with elements including a CFRP passenger cell, doors with a CFRP-aluminum structure, an instrument panel with magnesium support, an aluminum chassis and a partition between the passenger compartment and boot made from thin glass; comprehensive safety concept and an ultra-torsionally stiff passenger cell. 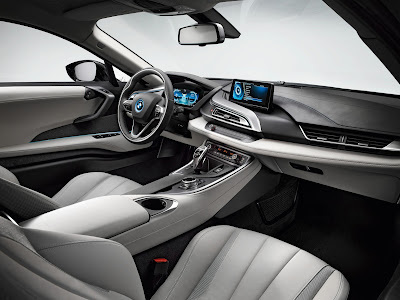 • Extensive standard equipment includes the Navigation system Professional with proactive drive system for all-electric driving, fully-digital instrument display, BMW iDrive with freestanding Control Display and leather sports seats; choice of four exterior paint finishes and four interior equipment variants. • Wide range of BMW ConnectedDrive features: Park Distance Control, cruise control system with braking function, rain sensor and Intelligent Emergency Call function, optional driver assistance package with High Beam Assistant, a rear view camera, Surround View, Speed Limit Info including No Passing Info display, and Collision Warning with pedestrian recognition and braking function; also available are the Head-Up Display, BMW Online Entertainment, Concierge Services, Real Time Traffic Information and mobility services developed specifically for BMW i, e.g. intermodal route guidance as standard. All-embracing sustainability concept running like a thread through the value chain; carbon fiber production and vehicle assembly using 100-per cent renewable electricity; high proportion of recycled materials; use of materials manufactured and treated in an environmentally friendly manner."